The origins of the Basin Street Boys go back to a musician that we are all familiar with. That person is Steve Gibson - yes the Steve Gibson who gained everlasting fame with The Red Caps. 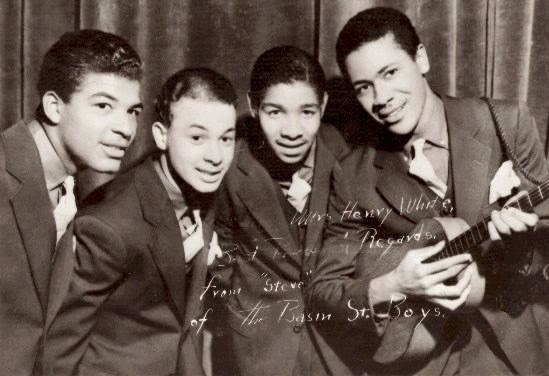 The singer - guitarist joined by Louis Dandridge, Joe Walls, Lloyd Mitchell, and Pods Hollinsworth. 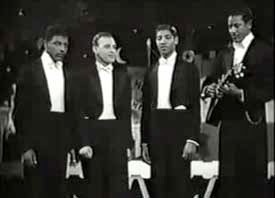 The group performed under a number of names including The Four Dots and The Esquires. 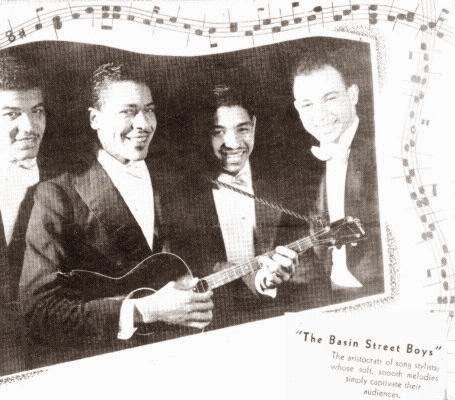 According to Marv Goldberg's article on The Red Caps, band leader Jean Calloway gave the quartet the name Basin Street Boys. This group had an odd history in the business as they recorded only one obscure side but were present on a number of motion pictures and animated shorts. One picture was released in 1938 and called “The Bronze Venus” (also known as “The Duke Is Tops”) and starred Lena Horne. An interesting sidelight of this picture is the appearance of another pioneering Black vocal group The Cats & the Fiddle. 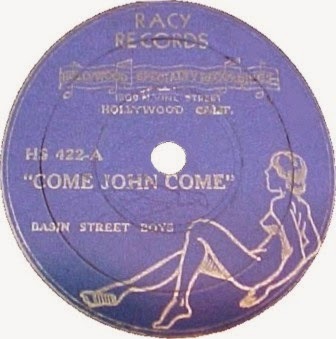 Animated shorts that featured the musical talents of the original Basin Street Boys were “Clean Pastures” which also featured the voices of Fats Waller, Stepin Fetchit, Bill “Bojangles” Robinson, and believe it or not, Al Jolson! Another was the unfortunately named “Swing Monkeys, Swing”.